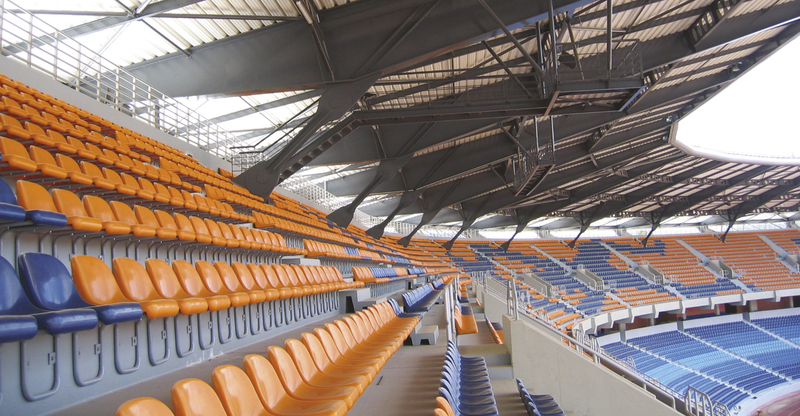 The 30,000 capacity stadium in Coimbra was one of the first to be completed for the Euro2004™European Football Championships and we played a key role in making this project the success it was. The redevelopment added capacity and accommodation to a classic continental multi-use stadium, and the scale and detail of the exterior architecture played down the stadia massing and was carefully tailored to work with the scale and urban grain of the surrounding area. As well as re-establishing the city on the Portuguese national sporting map and emerging as a symbol of local civic pride, the wider development acted as focus for regeneration in the Solum district, providing much needed commercial space and leisure facilities.